Shed building continued in January. We have made good progress and are excited about having a new space. 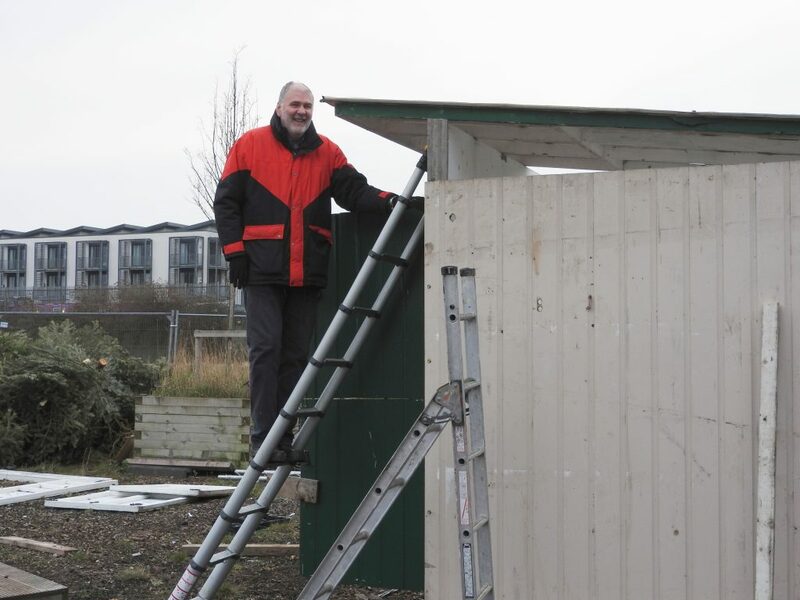 Many thanks to Andy, who has contributed his knowledge in designing the shed and is directing a systematic group build. We also began to tidy our outdoor space, with many hands making light(ish) work to order the remaining shed parts. January also saw the Forge continue is Christmas Tree burning tradition. Crowds gathered to watch the intense spectacle of trees burning brightly, with people taking turns to place a tree on the fire.